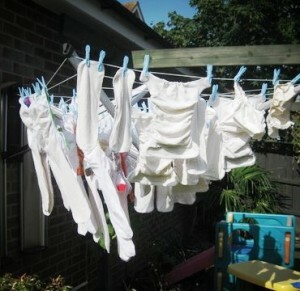 We have a few cloth nappies and love using them. I’m working my way through writing reviews on all our nappies, wraps and accessories to give you an idea of why I think they’re so brilliant. Our nappy stash (February 2012) – definitely need to do an update on this!